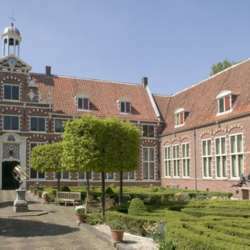 You must be a member of the The Hague Art and Culture Group to attend this activity. Would you like to join this group? lets go to the Protected content , where we can see the exhibition Frans Hals and modern art. There is a guided tour at Protected content for an additional 5 Euro if you like. The tour will be in Dutch unfortunately, but perhaps nevertheless interesting for some of you. Everybody needs to buy his/her own ticket . As far as I understand it is best to buy them online, and we can directly meet Protected content to go into the museum. Please see the webpage of the museum for the tickets. The tickets are sold without timeslot, thus just pick Sunday 3rd February as the date, just in case there is a limit of visitors for the day. After the museum, or in between as a little break, Protected content . The museum closes at 17:00. Looking forward to seeing you on Sunday in the museum.